We are very pleased to be supporting a fantastic event called ‘Strictly Dundas’ in association with Queensferry Care in the Community. Please see information about this event below from David Pomfret of QCC, and do not hesitate to get in touch with him if you are interested in attending. Queensferry Care and the Dalmeny Kirk Hall Fund. Based on the nationally popular BBC’s Strictly Come Dancing, our exciting evening commences with a Champagne/drinks reception in Dundas Castle, followed by a three course dinner with wine in the magnificent Dundas Pavilion where our “Strictly Dundas” dancers will demonstrate their newly found dancing skills before you and compete for a magnificent trophy with you, our guests, as competition judges. Stating your name, address, post code, phone number and the number of tickets you require. Your ticket confirmation together with details of how to pay for them will be sent to you within one week of our receiving your ticket order. Tickets will be dispatched to you between four and six weeks prior to the event by recorded delivery. Included with your tickets will be details of the evening’s menu. At this point you can advise us of any particular dietary requirements on behalf of yourself or your guests. This information should be with us by no later than Friday 21st October. Travel directions to Dundas Castle will also be enclosed. If you have any questions, please email david_wp52@hotmail.com, who will be delighted to answer them for you. All profits from “Strictly Dundas” will be shared equally between our three charities: Queensferry Care provides a range of services to older people and those with Dementia across rural North West Edinburgh; The Royal National Life Boat Institute South Queensferry and the Dalmeny Kirk Community Hall Restoration Fund. 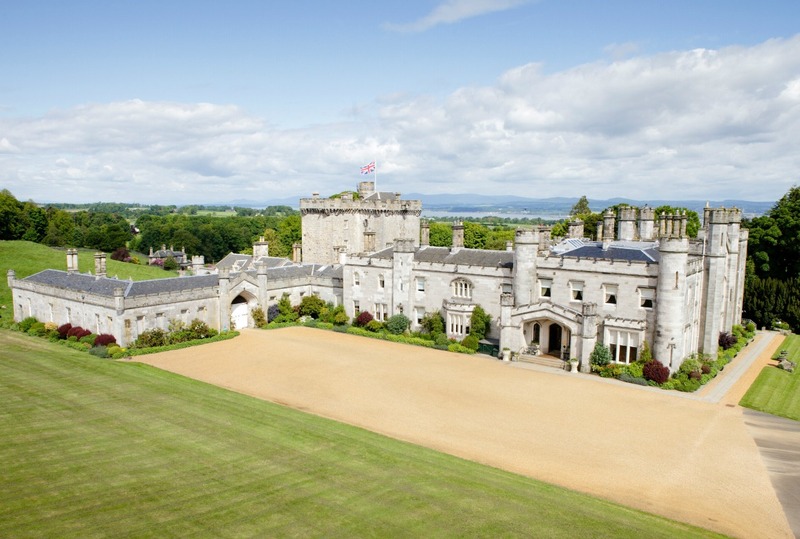 Not only will you enjoy an evening in the spectacular setting of Dundas Castle and an excellent dinner in the beautiful pavilion situated in the grounds of Dundas Castle, you will be supporting the important work of these three charities dedicated to supporting people within their local communities or around our coastal waters and rivers.